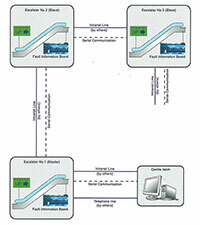 The complete fault & operation information can be transmitted though intranet line or telephone to the computer located in the centre room. Therefore real time fault & operation information could be read and the latest 3000 faults memories with date in hour-minute-day-month-year, can be stored in the control system and can be called up in the computer. This feature offers great advantages for maintenance management. The LCD screen will be supplied and located on outer decking, real-time fault & operation could be indicated on LCD screen. This feature offers great advantages for maintenance. Access to the fault information board will be supplied by means of console. The latest 3000 faults memories with date in hour-minute-day-month-year, can be stored in the control system and can be called up on LCD screen of console, therefore fault diagnosis & analysis can be made available through faults history. Black is specified as standard colour. Other colour can be selected with extra cost. 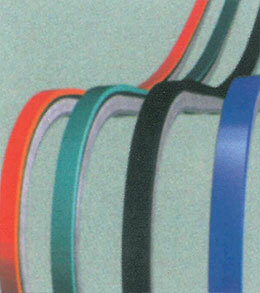 Natural colour is specified as standard colour, optional as black colour with tread surface ground. 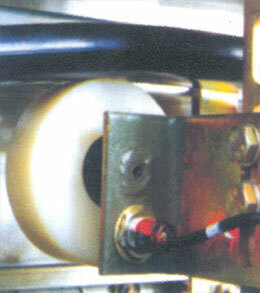 Yellow painting at 3 sides is specified as standard, optional as yellow resin at 3 sides. Fixed on main shaft, it will be actuated in case drive chain is broken or speed is over 120%. As standard requirement, it shall be equipped for non-public service escalator when rise is over 6m. 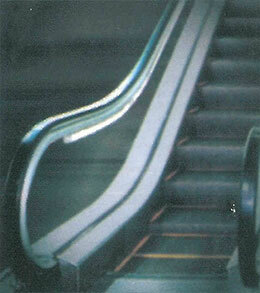 It is standard feature for public service escalator. There are two detectors integrated in the handrail support rollers at both left and right sides. 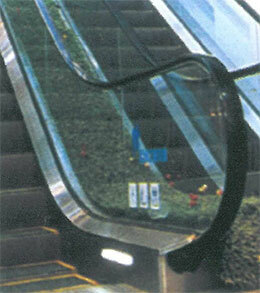 When one or both handrails are broken or run under speed, the system will be executed. 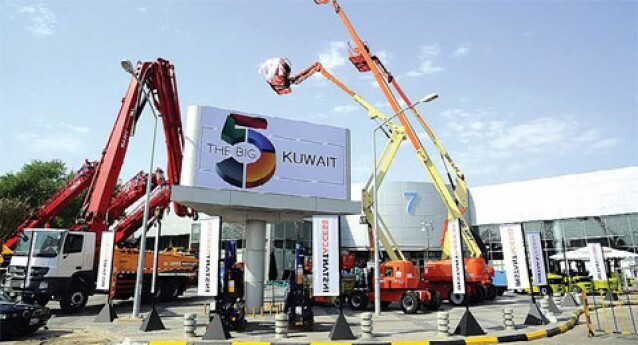 A central automatic lubrication system complete with a pump and pro portioner can be installed to provided adequate lubrication for all chains automatically. I fixed at upper/lower transition Curves to stop escalator in case of step up thrust. 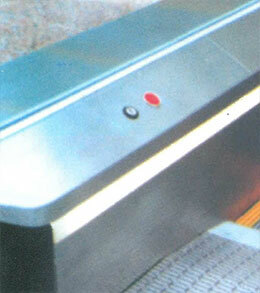 Two sensors are fixed at upper/lower return section to receive pulse signals from steps passing by and stop escalator before missing step entering comb plate in case of step missing. It is fixed at left/right skirting panel to cover the gap between step and skirting in order to avoid possible risk caused by the gap. Located in the balustrade profiles on both left and right sides, meanwhile beautifying the environment. This function is only available for commercial balustrade. Skirting lighting is installed in the skirting panel on both left and right sides. It can save 30%-40% energy according to different working load by sensing motor load and controlling currency & voltage. 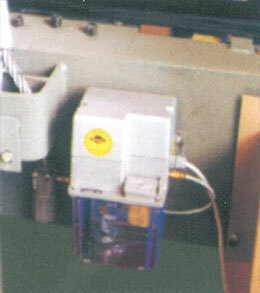 It can also provide with soft start function, therefore mechanical & electrical impact will be maximum avoided. Service life of mechanical & electrical parts will be extended. It is a frequency inverter system to save energy up to 60%. 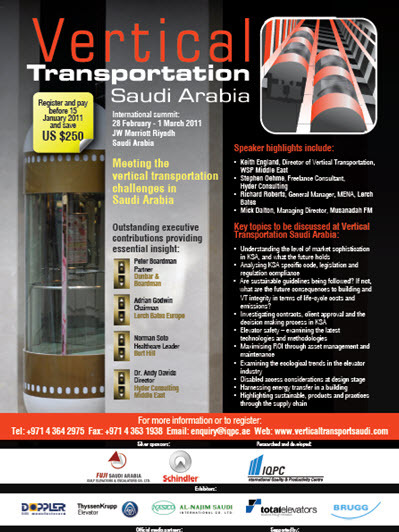 Escalator will run at low speed during no load and automatically return to normal speed during load, which is activated by photocell sensors at entrance. The escalator should be switched ON and OFF automatically with the use of photocell sensors installed at the hairline stainless steel columns which are arranged atleast 1300mm before the comb intersection line. Directional indicators will be integrated in the same columns. 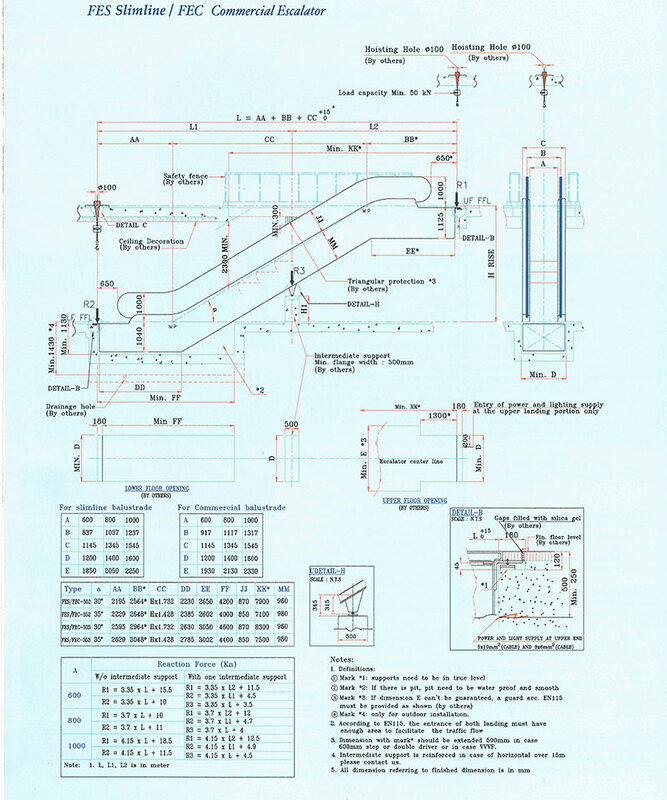 The escalator should be switched ON and OFF automatically with the use of contact mats which are arranged atleast 1800mm before the comb intersection line. Directional indicators will be provided together with this option. Heating system is fixed in truss among all service steps to avoid freezing caused by rain and snow. It shall be equipped with for outdoor installation in case of temperature circumstances below zero.